Author: Garner, Sharon K. Set In . . . Description: Nobody told her Hawaii would be like this. Newcomer Casey Ward hesitates before accepting an unusual temp assignment, to play half of a reconciling couple with her boss's nephew. Her temporary Significant Other is a handsome cop on the emotional and physical injured list, and Casey came to Hawaii to heal after her LAPD ex-fiance's infidelity and assault. But it's heads up when Kit Kahana's sky-blue eyes, mega dimples, and private detecting kick start Casey's zany personality and zest for life. 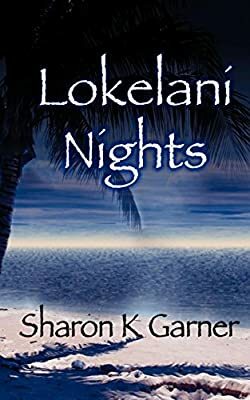 Kit's mission, once he gets Casey in restraint mode, is to unmask a prankster among the guests and staff at a macadamia nut farm/cattle ranch on Lokelani, a private island off Kauai. Superstition and mystery involving Puhi, a restless shark god, surround the pranks. Kit and Casey watch together through some long Lokelani nights to expose those who would desecrate the tiny paradise. And on its lovely shores, they find a powerful, healing love.